Not everyone starts their own garden seeds indoors, but we do! Most people just head to the nursery and buy their plants. Either way is good, but we choose to plant our own seeds (from the seeds we saved from the prior gardening season) and maintain our plants indoors under grow lights. In this section, you can follow along with us and our journey in gardening to see how we start our plants from seeds, maintain them, and get them ready to head out to the garden. We have quite a few years of gardening under our belt, but we by no means are experts. We just share our experiences in gardening, what has worked for us and what has not. We learn from gardening, and that is what it is all about. 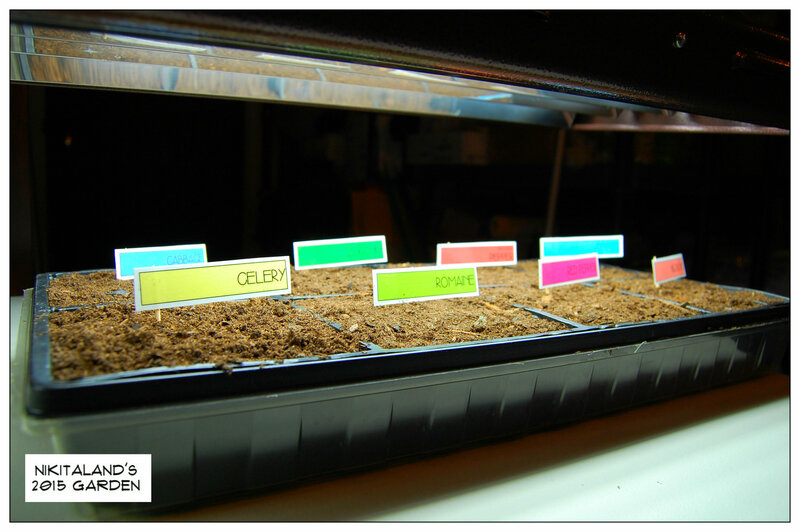 In this post, you can read all about how to start your garden seeds indoors under grow lights. In this post, you will see how some of our plants sprouted up after only three days after being planted. Maintenance, warmth and the proper amounts of water is how you properly grow your future produce! How well do you know garden plants? Take this quiz to see if you can name the plants in this post! Here is where you can find the answers to our garden plant quiz! More fun to continue….keep checking back!